It was shortly after the purchase of his first home that Richard Dykstra Jr. realized his passion for buying and selling properties. Licensed as a realtor in Illinois in 2007, Richard has been helping families, individuals, and businesses find places to call home ever since. Prior to selling real estate, Richard spent over twelve years with the local utility company focusing on HVAC equipment sales for both residential and light commercial properties. Along with successfully buying and selling his own investment properties. Richard is now a proud business owner along side his Father and Sister, running a family owned HVAC business, Dykstra Home Services out of Crestwood, IL. He is an expert in the HVAC industry and uses his vast knowledge of HVAC products and home services to educate his clients while helping them make better home-buying decisions. 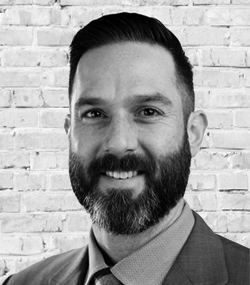 Richard is currently based out of the Mokena, Illinois office and serves most of Cook and Will counties, as well as the greater Chicagoland area. He proudly lives in the southwest suburbs with his wife, three kids, and two dogs. Whether you’re a first time homebuyer, a crafty real estate veteran looking to purchase another investment property, or a family whose housing needs are changing or expanding, Richard and his team at iCandy Realty stand ready to help. Contact Richard today to see how his loyal service, listening ear, and knack for negotiation can translate into the positive home-buying experience you deserve. Rich made great effort in listing our house and getting our information out there, we sold our house with his help! His video and photography direction were fantastic, we love how he talks about house features while showing on video, that really helps! He also made good recommendations to us about pricing, timing, etc. and followed up with buyer-realtors to get feedback so we were constantly updated. I would HIGHLY recommend him to anyone buying or selling! Purchasing a home can be stressful. Rich went above and beyond helping us navigate each step. He's not only knowledgeable but personal. I'd highly recommend Rich and will be using his services again soon.